As the world marks 50 years since the first man traveled to space, RT spoke to Yury Gagarin’s daughter to get to know the legendary cosmonaut from a different angle. RT: Great events are always, one way or another, a reflection of certain era. Could you describe the spirit of the time that preceded the great event, the launching of the first man into outer space? Elena Gagarina: That was a very special era, the late 1940s and the 1950s. After the war the country was in ruins, but the people were optimistic. They had a very great desire to do something new, they had a great zeal to study and learn and perceive the unknown, something that hadn’t been conquered before. Starting from the 1930s, all boys raved about aviation. All pilots were heroes. Soviet pilots set numerous records, and, of course, during the war Soviet pilots were a force that could withstand all the hardships that fell on this country’s fate. Besides, planes and helicopters were the most advanced technology at that time. That is why everybody who wanted to serve in the army and test new hardware wanted to be pilots. 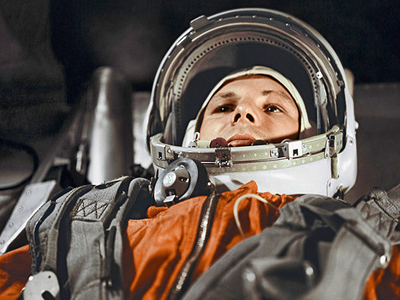 Of course, Yury Gagarin who had dreamed of flying since childhood did everything within his power to make his dream come true. He finished an air club in Saratov. Later, he graduated from a military school in Orenburg. He chose, perhaps, the hardest of all possible jobs: he worked in the conditions of the far north in the Murmansk region. 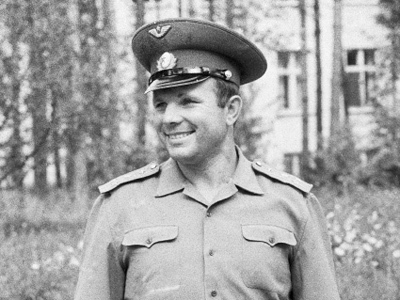 Gagarin served there pretty long, despite the fact that he had been offered the position of a flight instructor upon his graduation from the Orenburg military school. 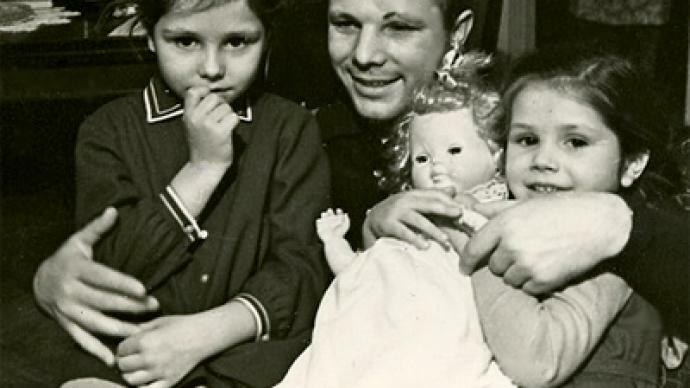 When Gagarin heard that they were selecting people for a squad that would test much more modern and upgraded hardware, absolutely new vehicles, he was one of those who applied and began undergoing a medical checkup. RT: What was the last night before the famous flight like? What was he dreaming about? EG: It's hard for me to say what he was dreaming of before it. But everyone knows that the night before the flight, he had a talk with Sergey Korolev, then he played chess with his backup, German Titov, and after that, they all went to bed. And there are documents to back up this information. While Titov was very anxious, Gagarin slept peacefully; his breath and pulse were even, and he felt just as great on the morning of April 12. 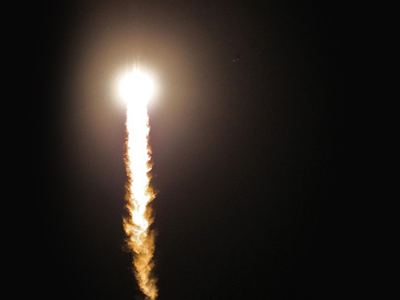 And he was very focused – because, as we learned later, there were a large number of difficulties and technical errors that he had to surmount, and it must've been his capacity to focus that helped him to complete this mission successfully. Talking about his dreams, he really wanted to continue flying, and he was very jealous of his fellow spacemen who got to spend much more time out in space. He only spent 108 minutes, less than two hours, which was obviously less than enough for him. He was very interested in space missions. He dreamed of mastering the new equipment; he wanted to participate in the lunar program. And in Korolev's time, they started developing the Martian program, so he believed that he would definitely participate in it, too. Therefore, he had a lot of plans. RT: What can you say about the mood of society following the great event? How did common people take the news? EG: I believe there was no greater event than that during peacetime for our country. I think it was true not just for our country – all of mankind's mentality changed after the first space mission. Now, 50 years after the space exploration began, none of us can imagine our lives without many ordinary things that would've been impossible without the development of the space program. The realization that we entered a certain new development stage fascinated our whole society. And certainly it was significant that the Soviet Union was the country heading this wonderful process. RT: What was he like – not as a hero, but as an ordinary person in everyday life? How did he behave himself with his neighbors, friends and family? EG: You know, he was always very open and friendly to everyone. He read a lot; he was very knowledgeable, and he spent a lot of time doing his duties. Also Yury really enjoyed doing sports. He believed that it was something a man couldn’t do without. And he was very interested in different technical devices, from various vehicles to photo and video equipment. He would happily take apart any machinery he could lay his hands on. I cannot remember ever staying in on weekends. In summer, we'd go to the forest with friends, just to relax, wander around, and go fishing and water skiing. In winter, we'd go to the skating rink. When we didn't have time during the day, we'd go skating at night. We were all young and full of energy and enthusiasm, and both men and women enjoyed playing ice hockey. Dad really liked staying with us playing, or teaching us something, but he didn't have much time for that either. Nonetheless, each morning he would take us out to exercise, no matter what the weather was. We had to spend at least 15 minutes outside to get more fit. And he certainly paid a lot of attention to our studies. At that time I was starting school, and dad often asked me about my classes, and my progress at school. He made a lot of effort to ensure that we were doing well. RT: 2011 commemorates the 50th anniversary of the first space mission. What thoughts and feelings would you like people to experience as they enter this celebration? EG: Fifty years of developing such an important field as space exploration is a very important stage, not just for our country, but for all of human kind. Obviously, the development of this area is absolutely impossible without good friendly and working relations between people of different countries involved in this important and difficult work. There are so many conflicts happening worldwide, especially in recent times, as we now see. And it's very important that there are areas in which people have to find common ground and work together – whether they want or not. I believe this is the key outcome which everyone should come to understand now.